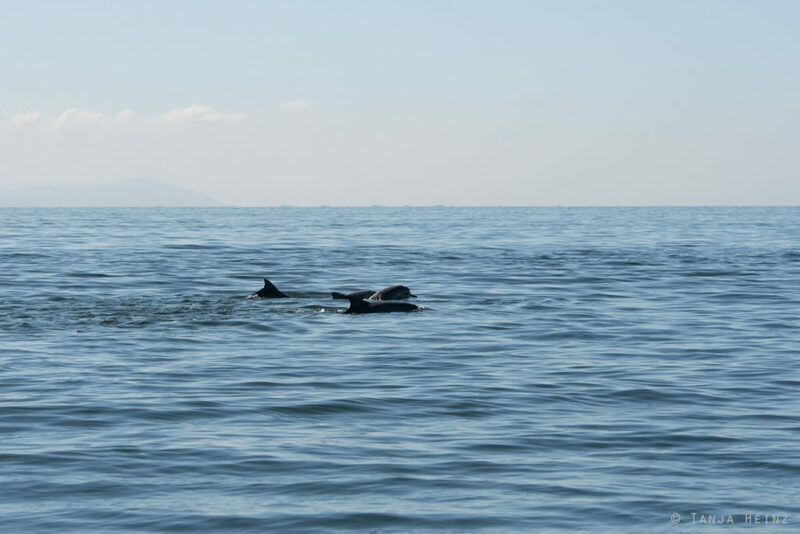 If you follow my blog then you probably know that I have paid much attention to marine mammals in the past on my journeys. I saw wild dolphins for the first time on Tenerife. 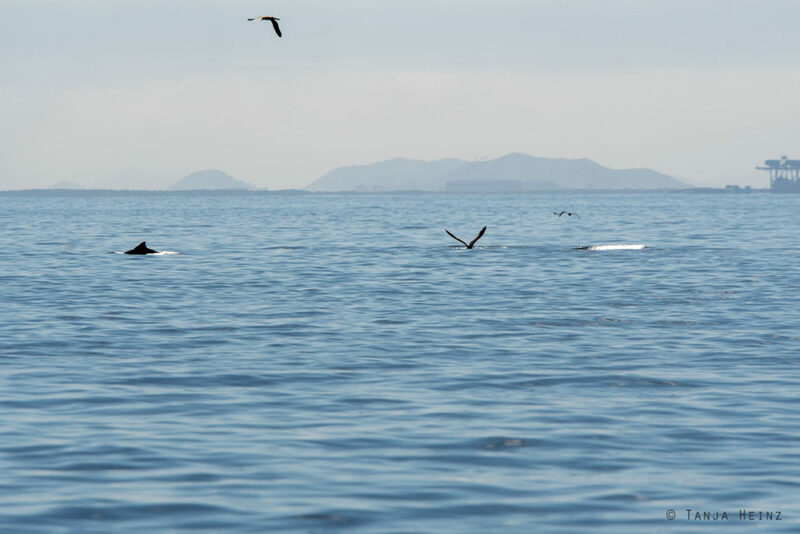 Australia and South Africa followed where I could observe not only dolphins, but also numerous whales. In the coming years as well marine mammals will always get a place on my blog. The reason for me is, marine mammals need much attention as their futures does not look good for all of them. Like for example the guiana dolphin. 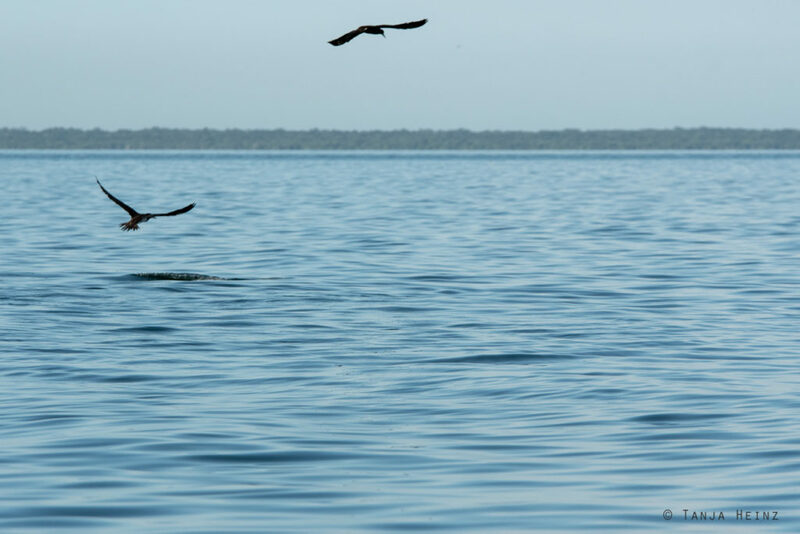 Although the guiana dolphin can not be listed into any category at the IUCN due to lack of data, and thus, its extinction risk cannot be assessed properly, the guina dolphin actually might be already at risk. 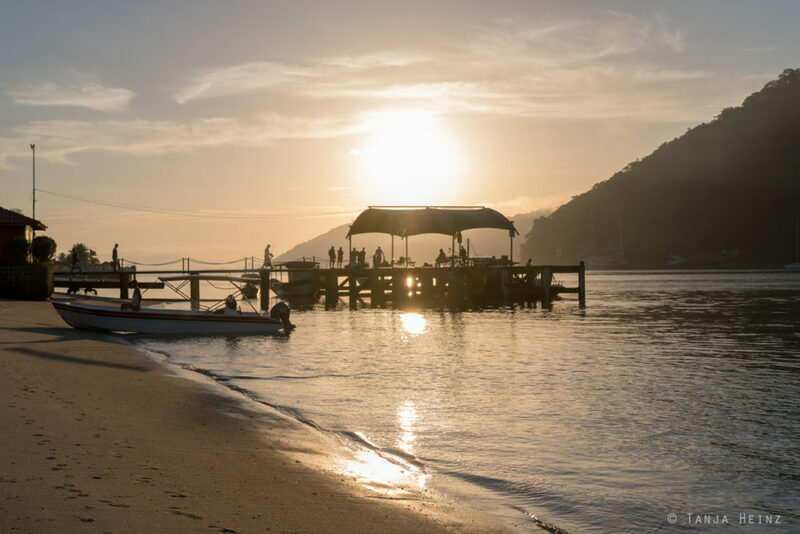 Therefore, it is so important that institutes like the Instituto Boto Cinza in Itacuruçá in the state Rio de Janeiro in Brazil investigates and observes the guiana dolphins in the Sepetiba Bay. 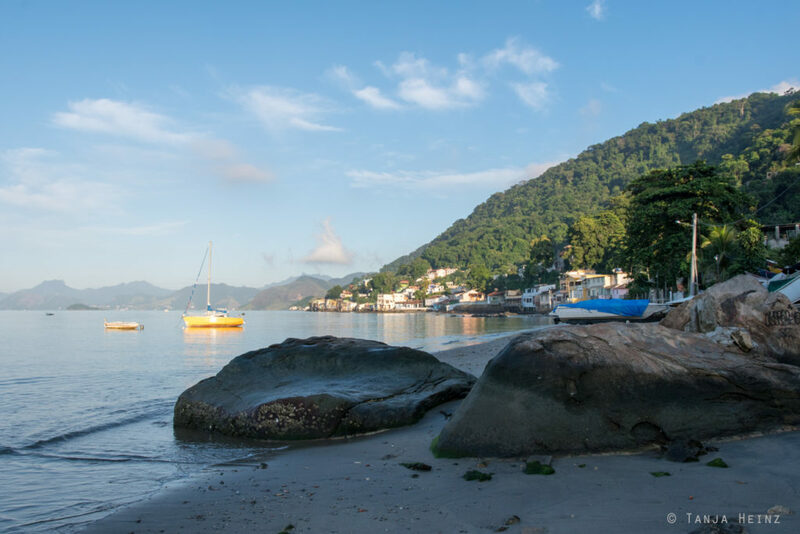 The Sepetiba Bay is a semi-closed bay in the South of the city of Rio de Janeiro. In the previous decades the region has undergone an economic boom with a growing industry. 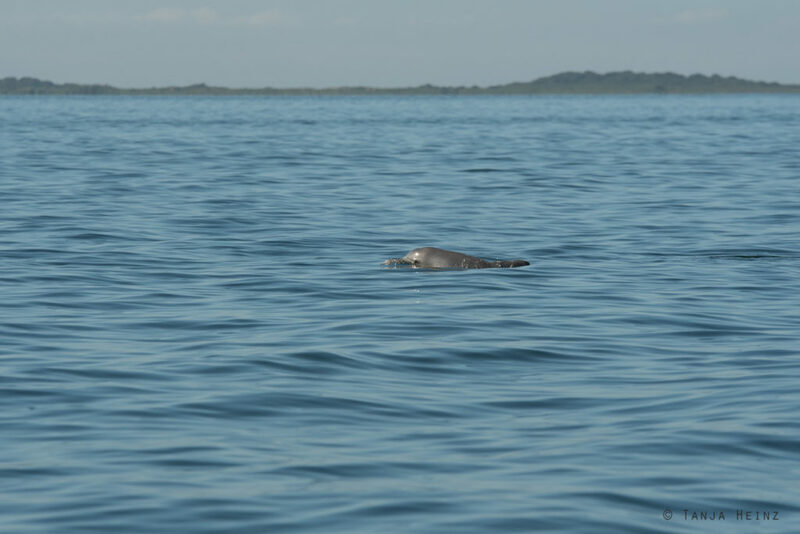 The guiana dolphin, but also the Instituto Boto Cinza are located in Itacuruçá, and thus, in the center of a region that most probably will economically further grow in the future. 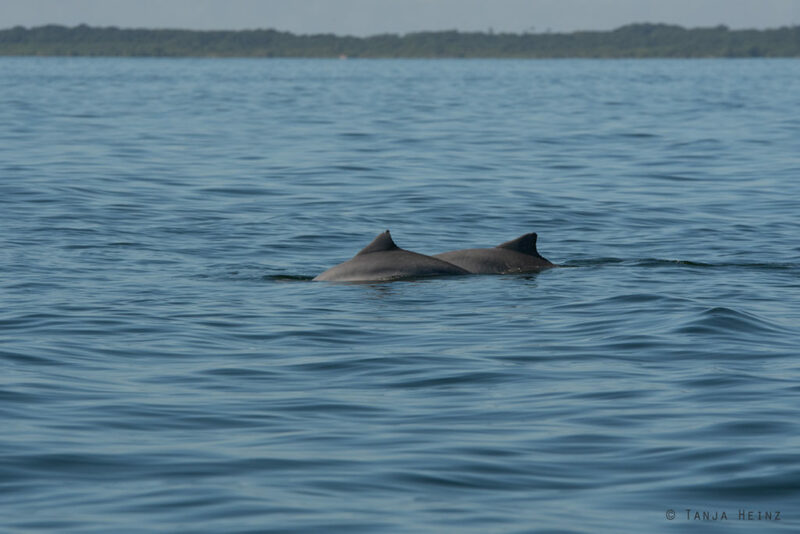 Of course, this growing industry led to ecological changes in the habitat of the guiana dolphins and all other numerous marine animals. 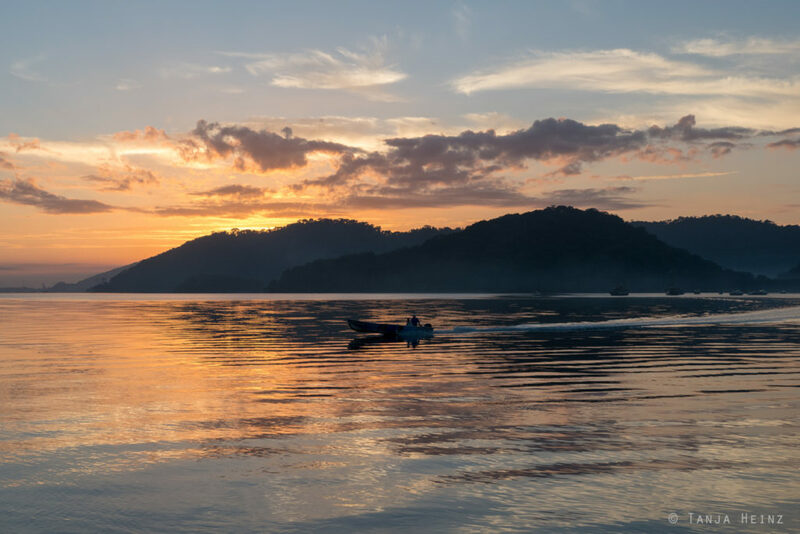 It is not surprising that a study found out that the concentration of anorganic pollutants like zinc, cadmium, plumb and mercury that destroy the ecosystem increased dramatically in the Sepetiba Bay. 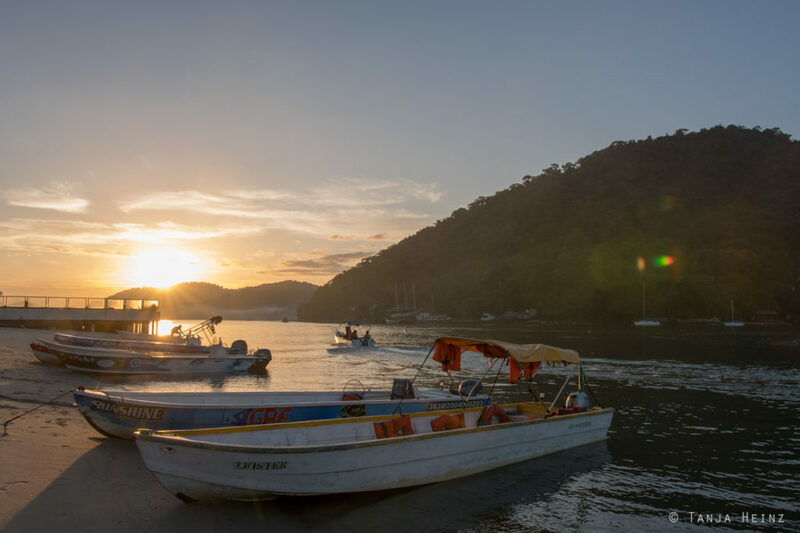 In the face of the fact that the industrial developments in the habitat of the guiana dolphins apparently will continue, this article is very important for me. 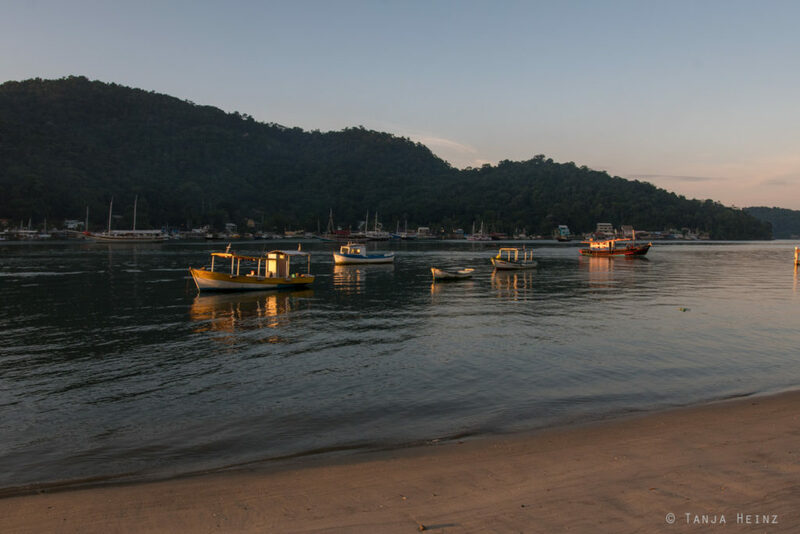 Because when I was in Itacuruçá to participate in a tour with the Instituto Boto Cinza, about 200 guiana dolphins had been already found dead in the Sepetiba Bay. 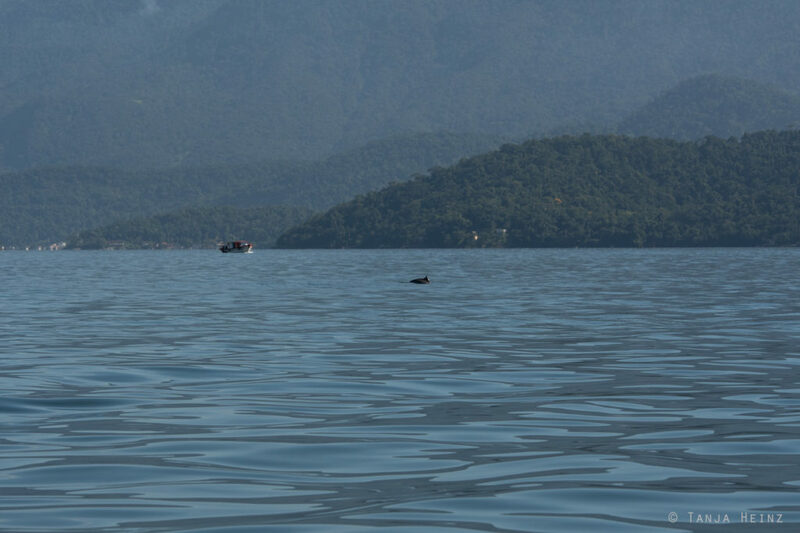 Even the New York Times and National Geographic reported about these dolphins in an article. Guilty is a virus that kill the guiana dolphins. 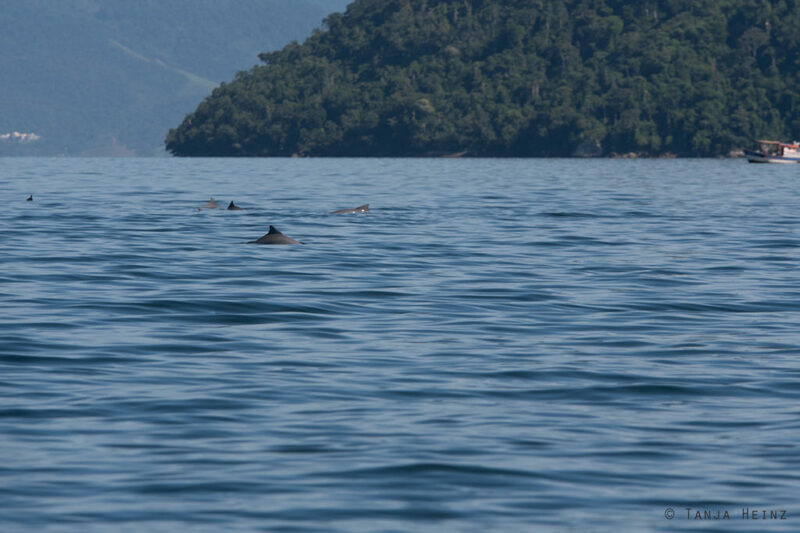 We heard about this virus and the deaths of dolphins only when we were in Itacuruçá to participate in a dolphin watching tour with the Instituto Boto Cinza. 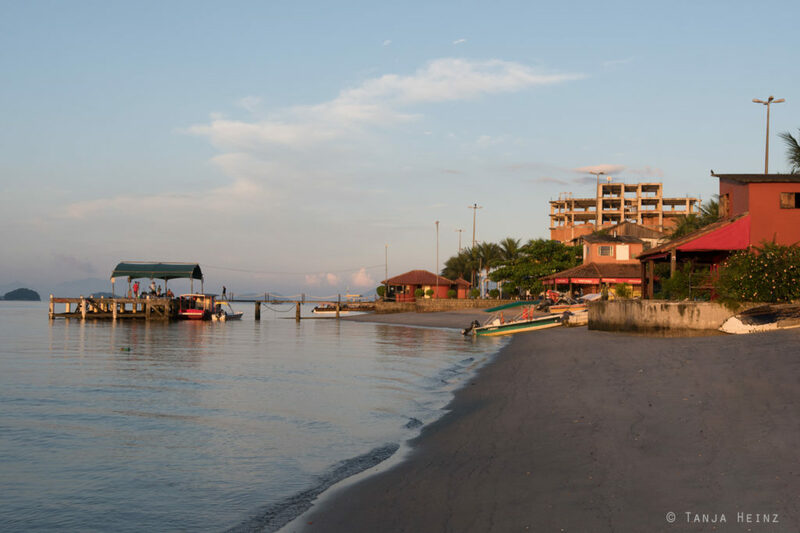 Our dolphin watching tour with the Instituto Boto Cinza started early in the morning at eight in March because during those early morning hours guiana dolphins go fishing. 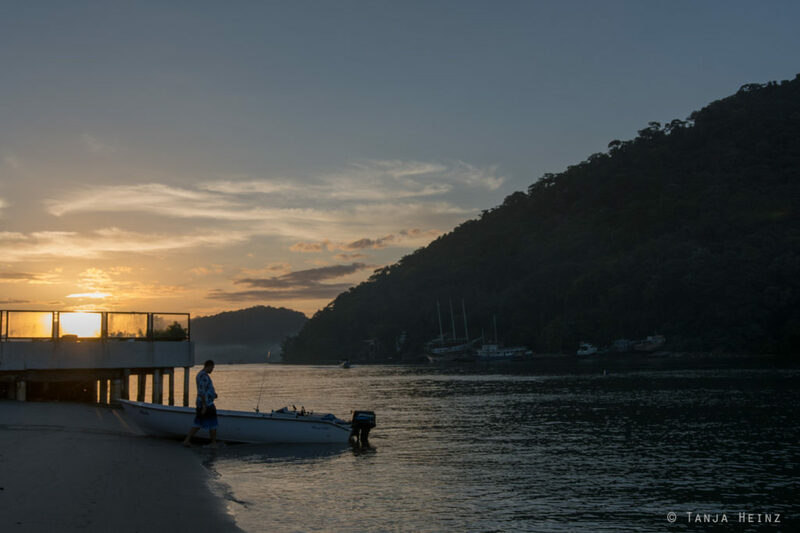 We waited at the pier in Itacuruçá for the biologists who guided the tour. We were not the only visitors on the dolphin watching boat. 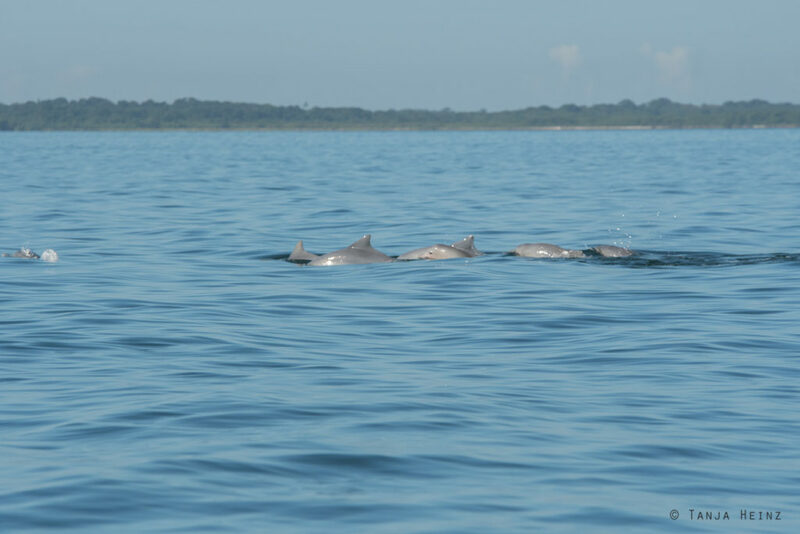 A family from Uruguay with four teenagers participated as well in the dolphin watching tour. In total we were six visitors and two biologists who led the dolphin watching tour. 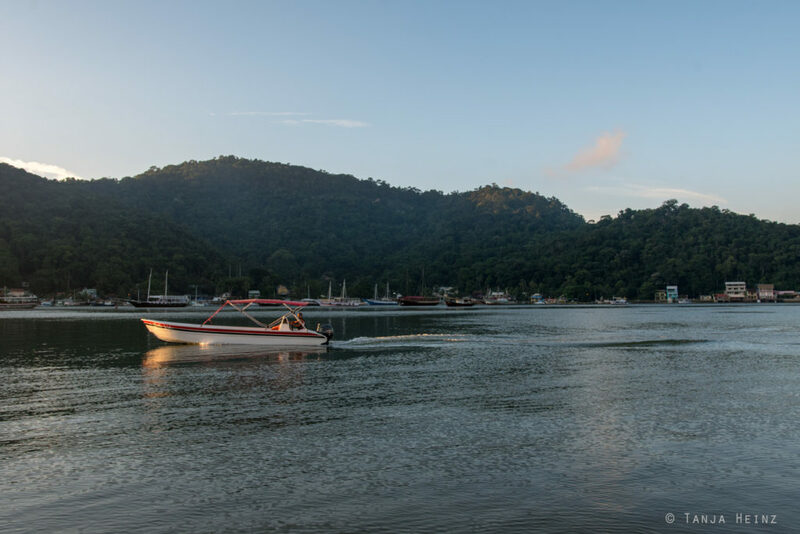 One of the biologists was the skipper of the boat and the other biologist told us more about the guiana dolphins in the Sepetiba Bay. We left and put out to sea. 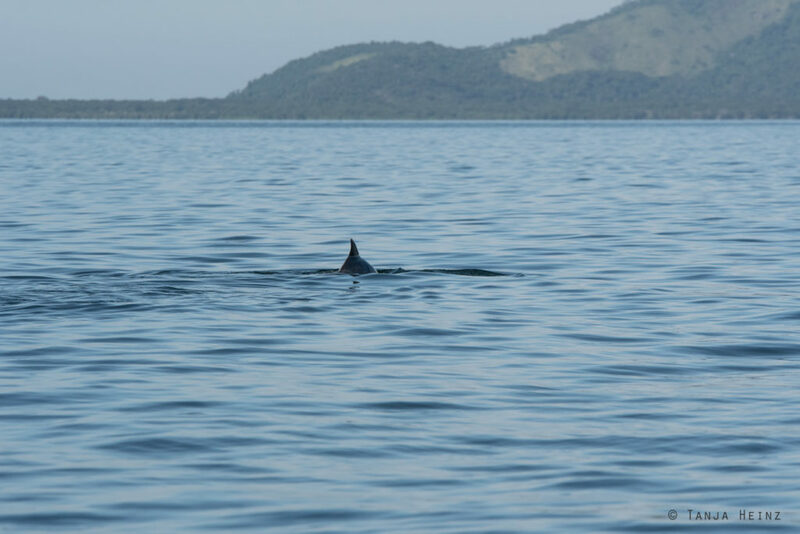 After a very short time we spotted the first dorsal fin in the Sepetiba Bay. 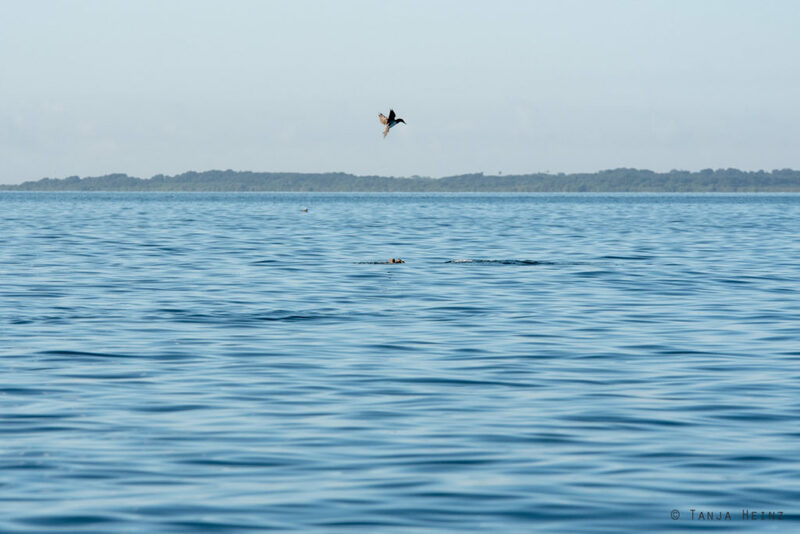 Of course this guiana dolphin was not alone. Almost in the same moment we observed some more dorsal fins at the water surface. I saw the faces of the two biologists. They were looking very worriedly into the direction of the dolphins. As I mentioned above, about 200 guiana dolphins died in the last few weeks. As much as I enjoy when I see dolphins, this time I was also a little bit sad. Some dolphins did not look very good. You could see the ribs when they appeares at the water surface. Both biologists looked attentively to the guiana dolphins. They also kept a long distance to the dolphins in order to prevent stress for the dolphins. 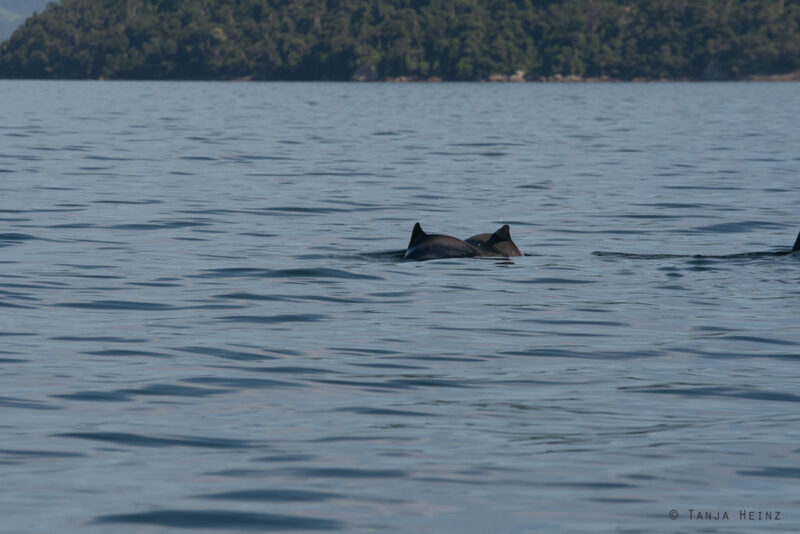 For the two biologists it is not only a dolphin watching tour, it is another opportunity for them to check the health status of the animals. Of course we understood this situation and that it is not possible to further approach the dolphins. Animal welfare always has priority. But who are guiana dolphins? 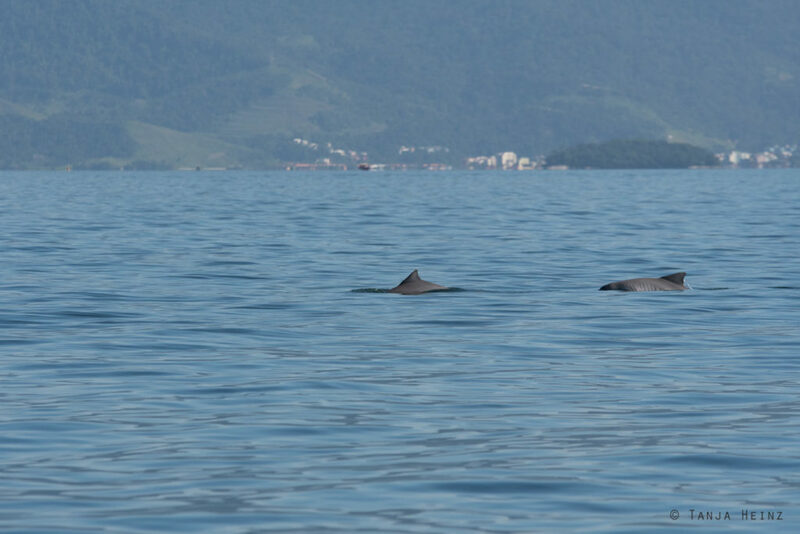 Guiana dolphins (Sotalia guianensis) belong – as the name already suggests – to the family of the dolphins (Delphinidae). The best known dolphin is probably the bottlenose dolphin which occurs worldwide. I observed especially many of them in South Africa. Guiana dolphins live along the Atlantic coast from Nicaragua to Brazil. 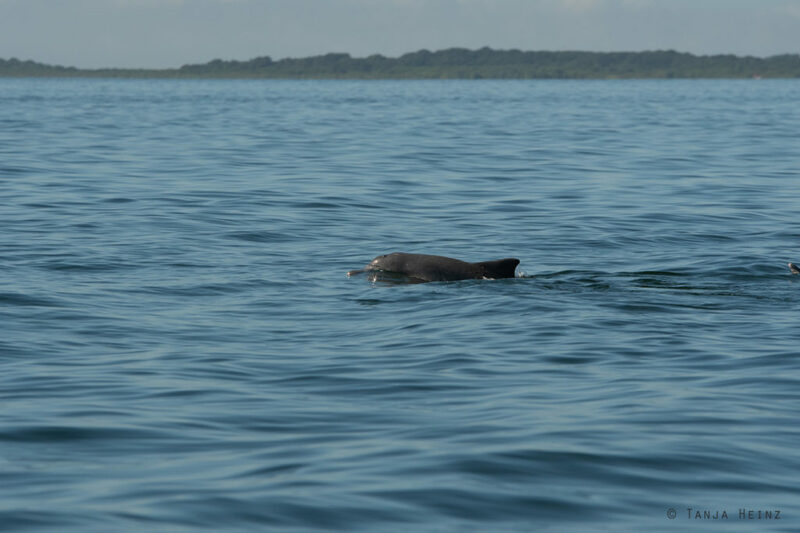 The guiana dolphin lives both in sea and fresh waters. Its closest relative is the tucuxi (Sotalia fluviatilis). Both belong to the genus Sotalia. In contrast to the guiana dolphin, the tucuxi lives exclusively in the fresh water of the Amazonas and its tributary rivers. 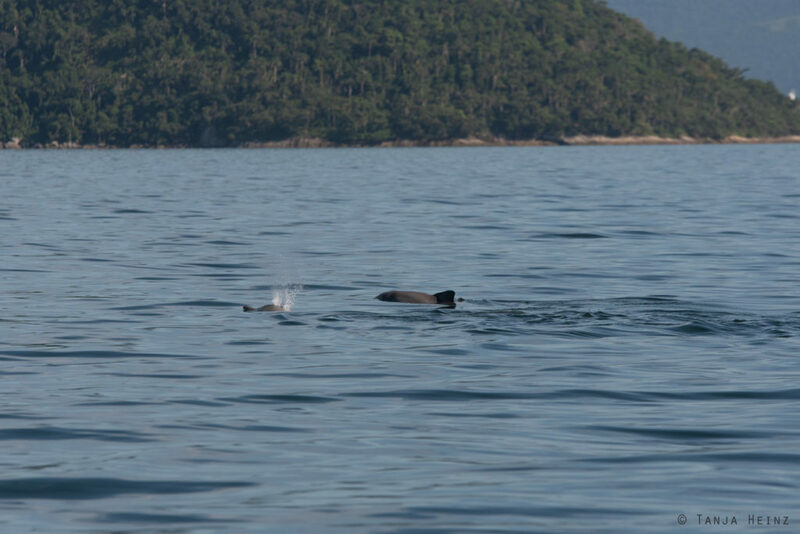 But importantly, the tucuxi is not a river dolphin of the family Iniidae. 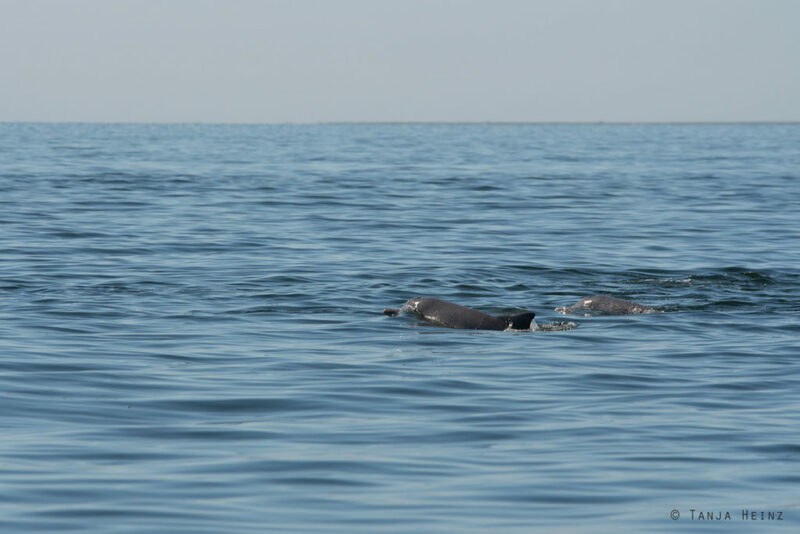 By the way, guiana dolphins and tucuxis are recognized as separate species only since 2005. Both dolphins have a similar coloration, but they differ in their size and the number of teeth. Both are light to bluish gray on the back and pinkish to light gray on the ventral side. 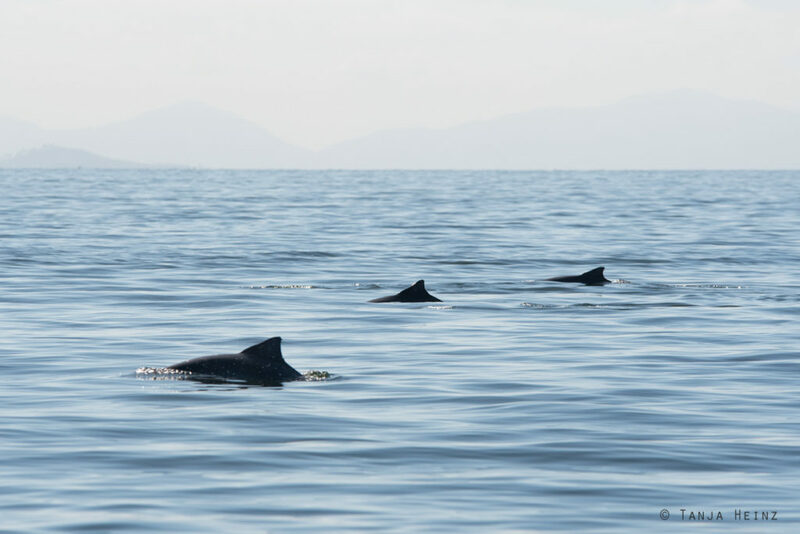 Their dorsal fin is triangular. The guiana dolphin is slightly larger than the tucuxi and with more teeth. Guiana dolphins can reach a size of maximal 2.2 meters and a weight of maximal 80 kilograms. 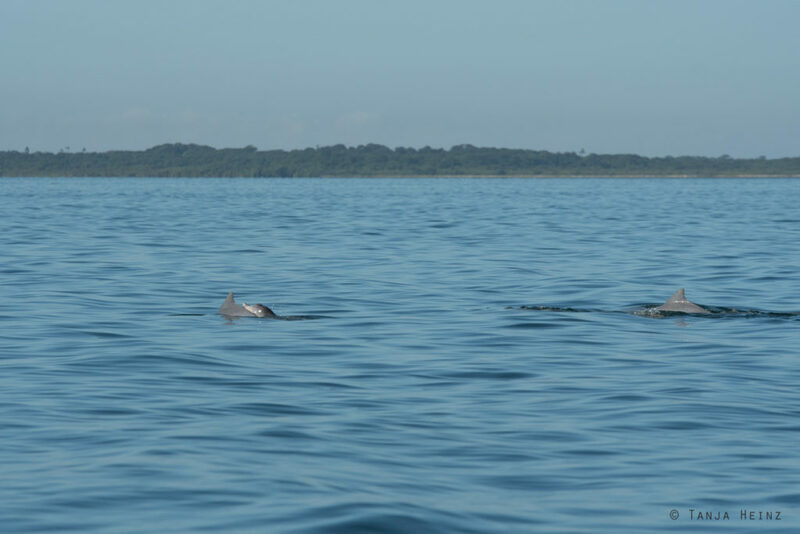 Guiana dolphins prefer a coastal habitat. They live in estuaries, bays or in other protected shallow coastal waters. Although they might leave the coast up to 70 kilometers. 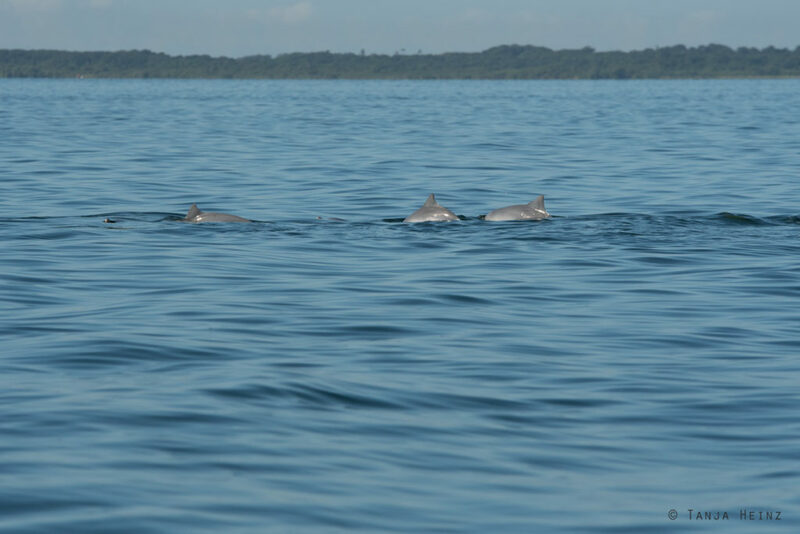 As guiana dolphins live so close to the coast, they are especially vulnerable to human activities. 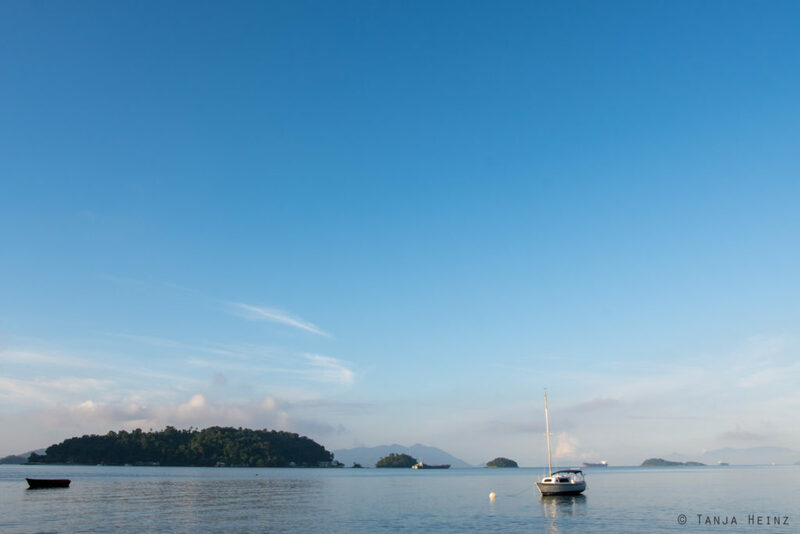 Their main threats are fishery, ship traffic, sewage and industrial waste. Therefore, they are exposed to a high pollution load. 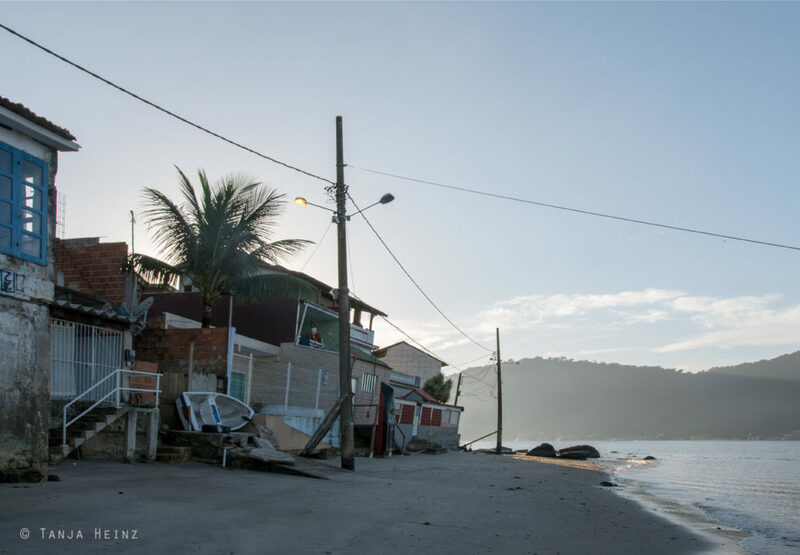 They are especially exposed to threats through human activity close to big cities in the South like Santos and Rio de Janeiro or further North in Recife and Rio Grande do Norte. Another dolphin that prefers coastal waters is the humpback dolphin in South Africa. 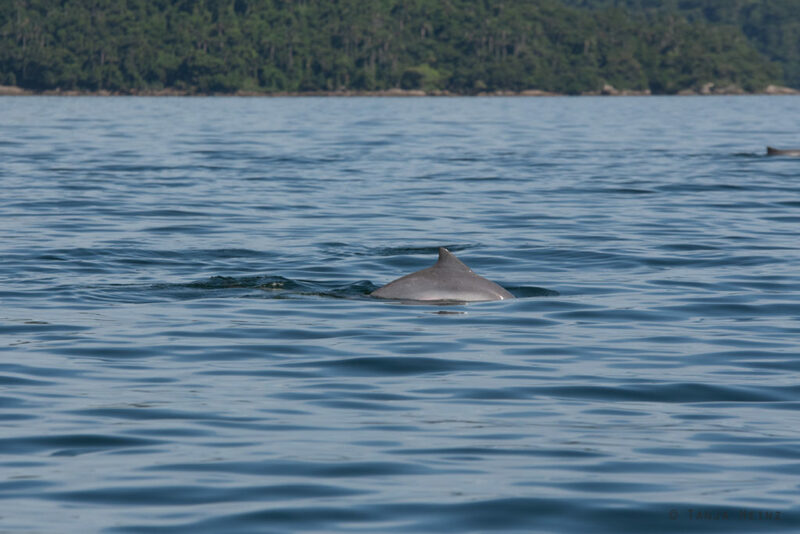 Similar to guiana dolphins, humpback dolphins share most of the habitat with humans. 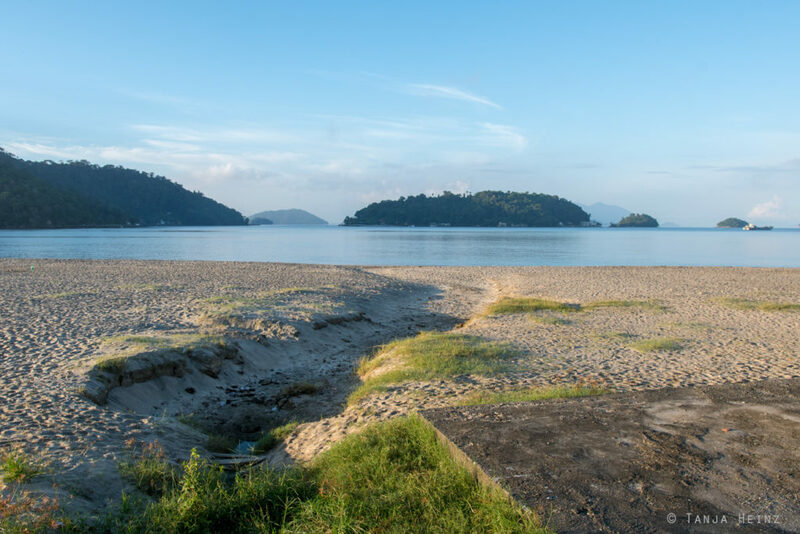 Thus, they are as well exposed to high marine pollution. 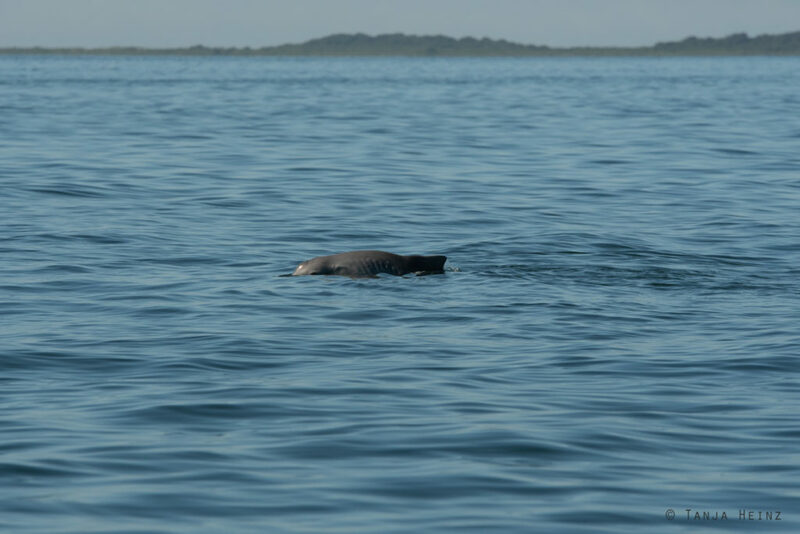 Due to the high pollution load the reproduction of humpback dolphins is negatively affected. 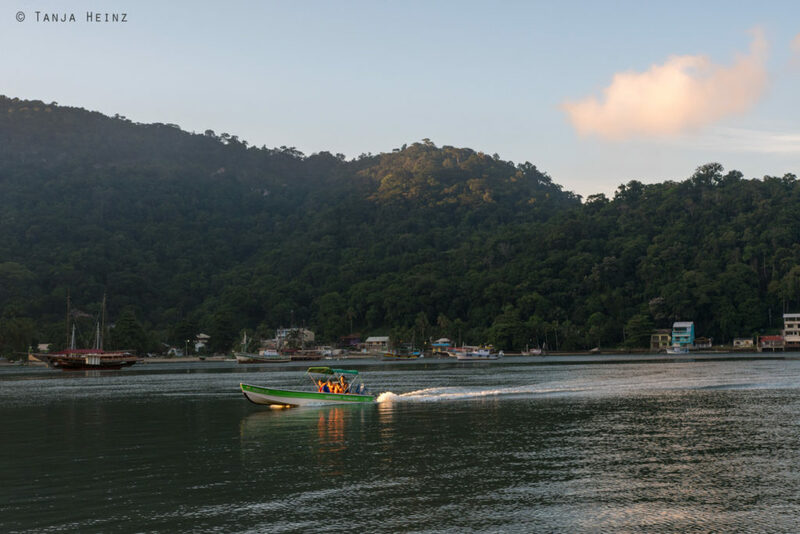 As I mentioned above, our dolphin watching tour started early in the morning when the dolphins go fishing. 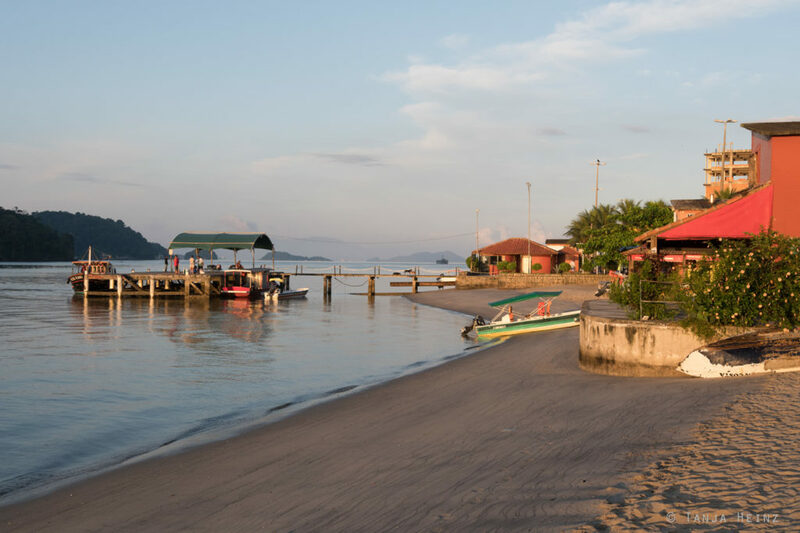 Guiana dolhins feed on fishes like for example herrings. But also crabs or shrimps are on their menu. They fish either pairwise or in bigger groups or subgroups. When guiana dolphins go fishing, it is quite common that boobies, terns and gulls assemble around them. Guiana dolphins usually live in groups of about 50 to 60 animals although one group comprises between 2 to 6 individuals on average. 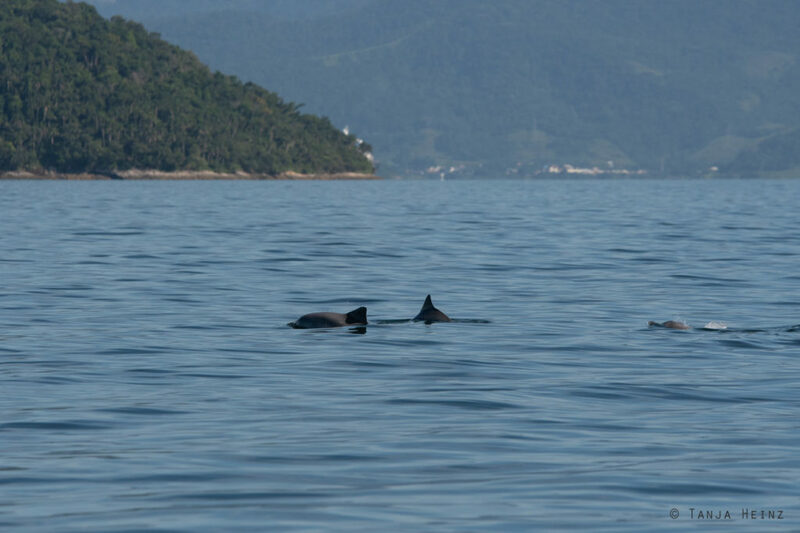 Apparently groups of guiana dolphins are in general larger in the South and Southeast of Brazil than those further North. Usually both adults and young live in a group. Up until now little is known about their home ranges. However, it is assumed that they might have a relatively small home range of about 15 square quilometers. 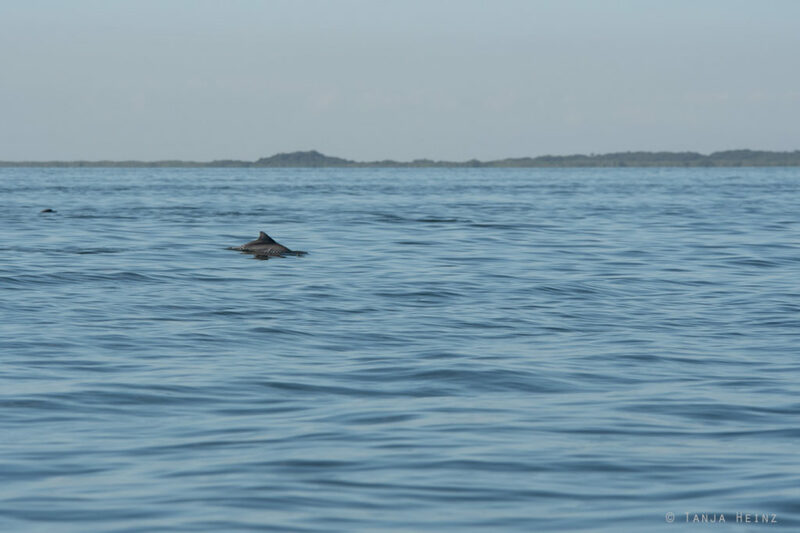 Nevertheless, guiana dolphins apparently do not travel long distances on one day. 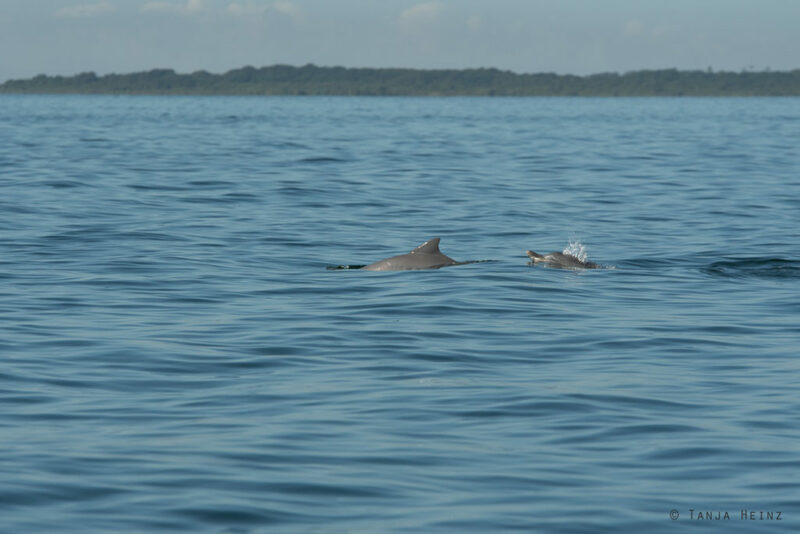 Guiana dolphins probably calve every 22-24 months. Based on their teeth, is is estimated that guiana dolphins might reach up to 30 or 35 years. I was wondering what age can dolphins in the Sepetiba Bay reach? Not all dolphins we met on that day in the Sepetiba Bay were looking ill, but there was one dolphin with protruding ribs. We saw this dolphin again and again. We were the only dolphin watching boat on that morning. We only saw some small fishing boats. In general, the guiana dolphins were not moving into one specific direction. Sometimes they appeared on the right and sometimes on the left of the boat. 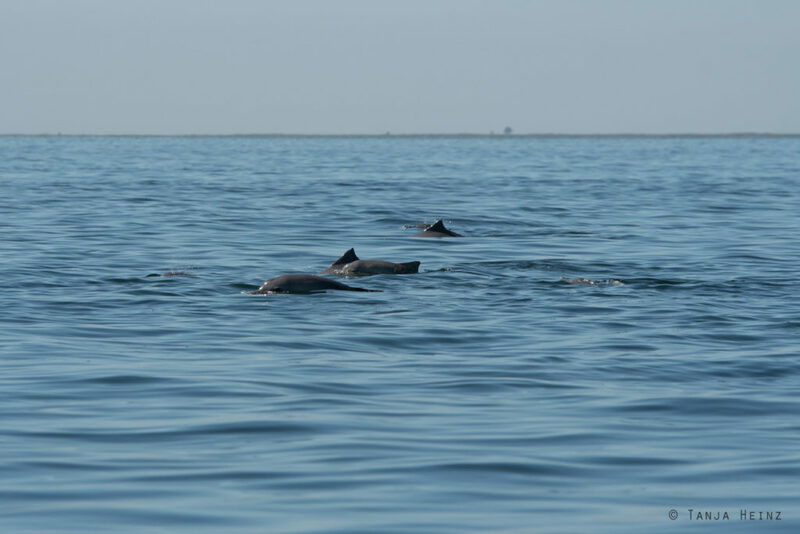 Of course the biologists did not follow the dolphins when they were moving away from the boat. 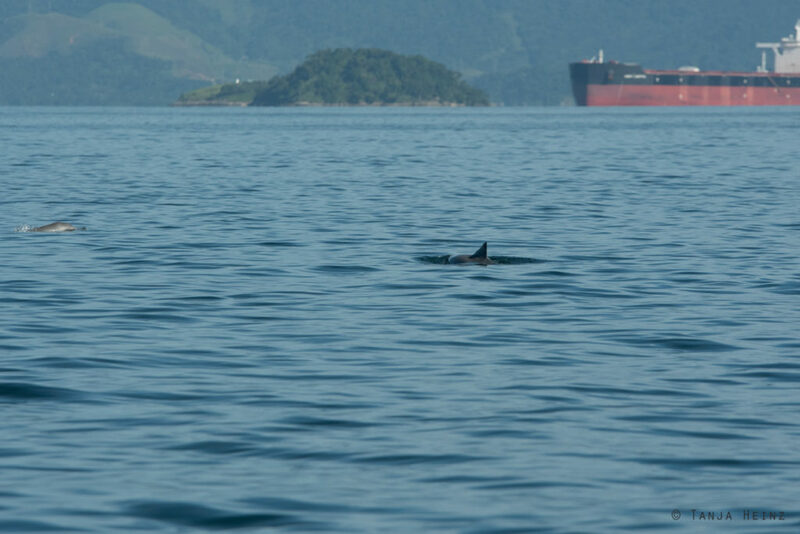 When we spotted some dolphins, the people from the Instituto Boto Cinza switched off the engine of the boat. 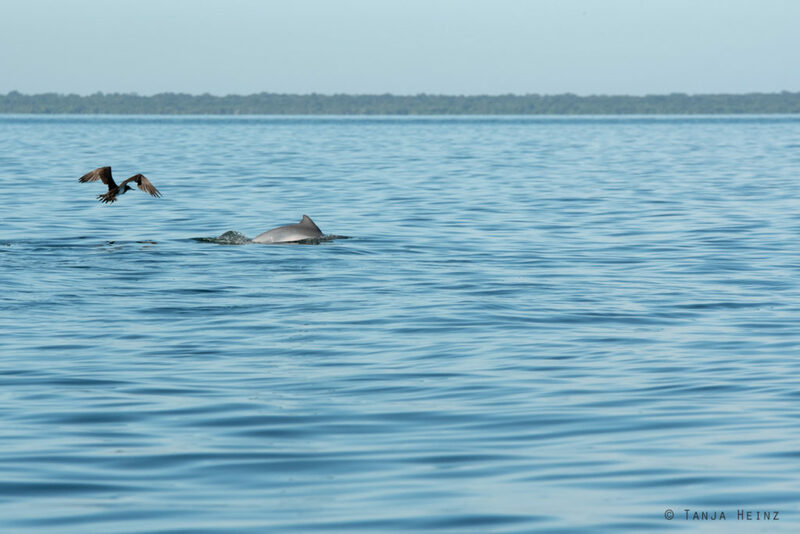 Sometimes guiana dolphins were swimming closer to the boat. The dolphin watching tour took about one hour and a half. When we finished the tour I still had thousands of questions in my head. 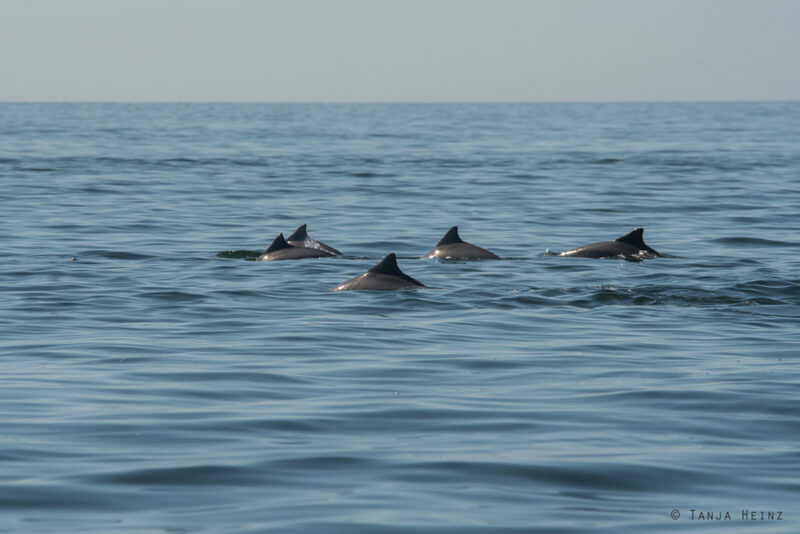 Why do so many guiana dolphins die just now? 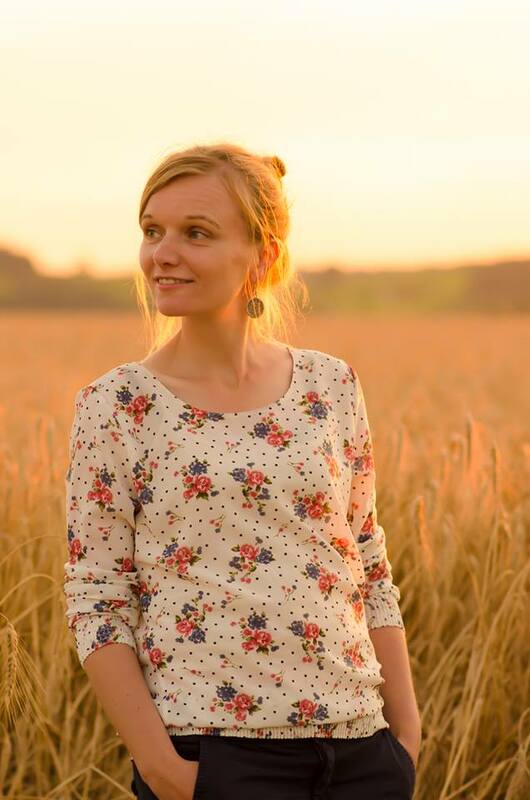 How will the region develop in the future? 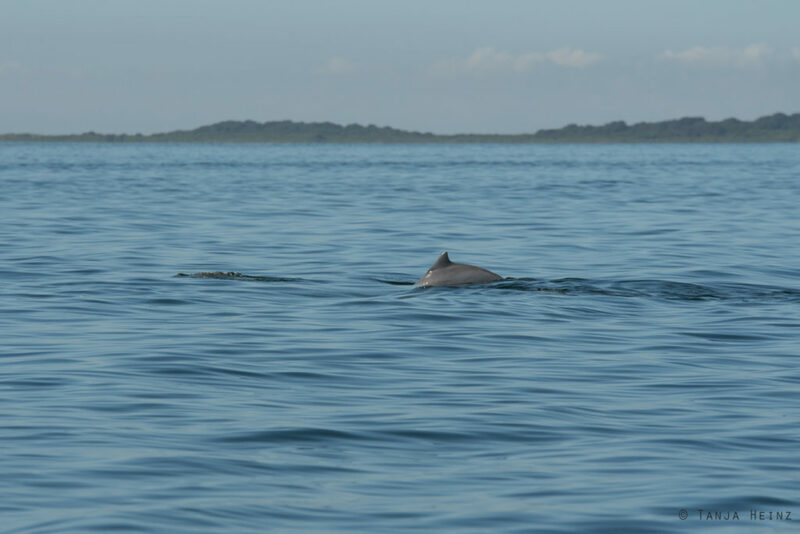 And how will these developments affect the guiana dolphins in the Sepetiba Bay? I’m always happy when I have the chance to see dolphins, and I was indeed happy on that day of course, but this encounter was also quite sad. When we were on land again we went into the direction of the beach to sit in the shadow of some trees. 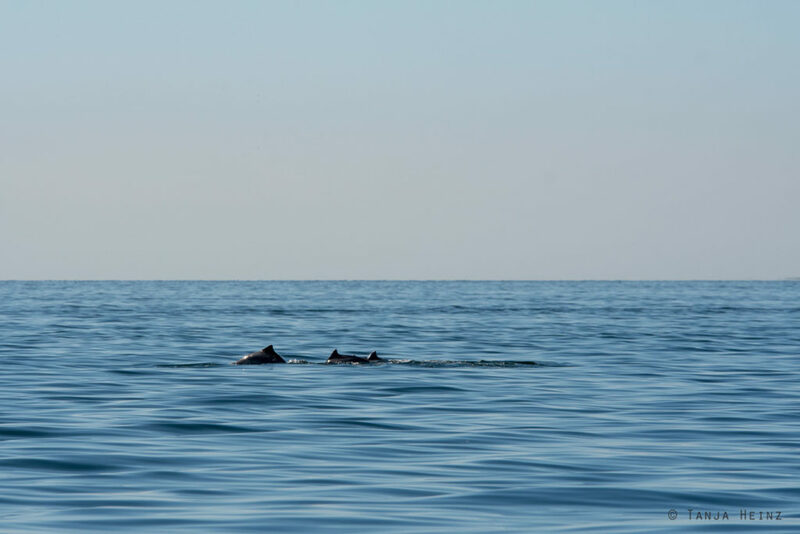 I could not stop to think about the dolphins in the Sepetiba Bay. In Itacuruçá we spent the rest of our time in the town. We did not go on any other excursions, but we took a rest. 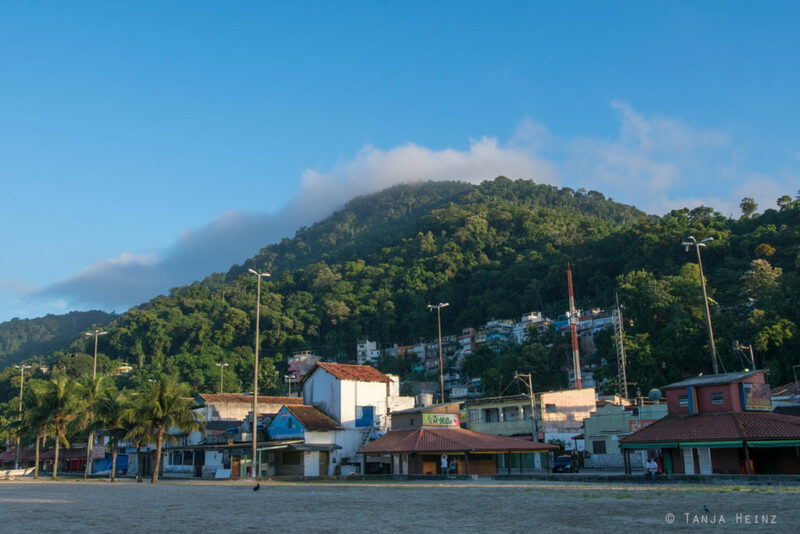 Itacuruçá is a rather small town at the Atlantic coast in Brazil. 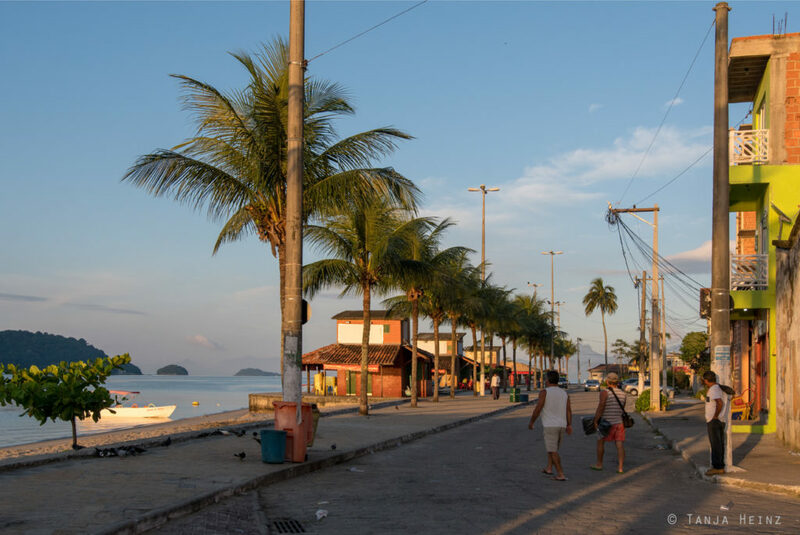 Opposite of Itacuruçá is located the same-named island Ilha de Itacuruçá. Between Itacuruçá and Ilha de Itacuruçá run boat taxis. At the pier is a tourist information point. This was the place where we got picked up by the people of the Instituto Boto Cinza. Although there was a tourist information point, the place did not appear to me very touristic. We passed the tourist information point to walk along the beach. 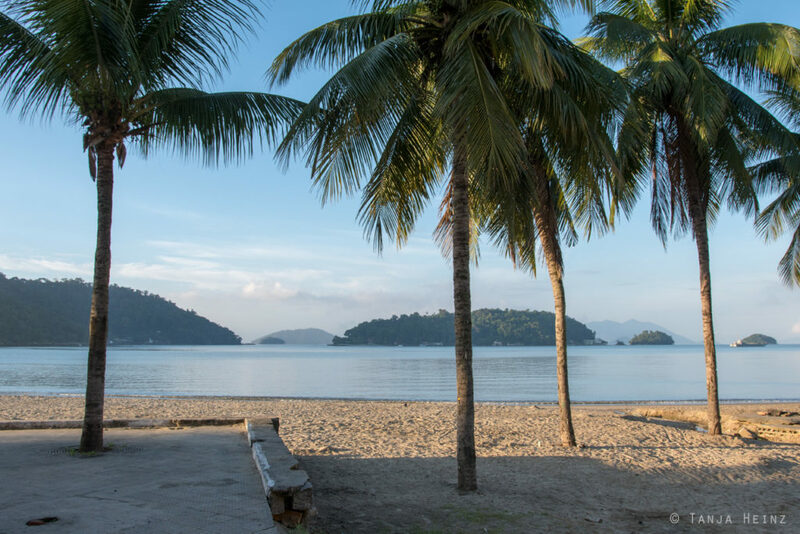 There are several kiosks along the beach where warm food is served at midday. 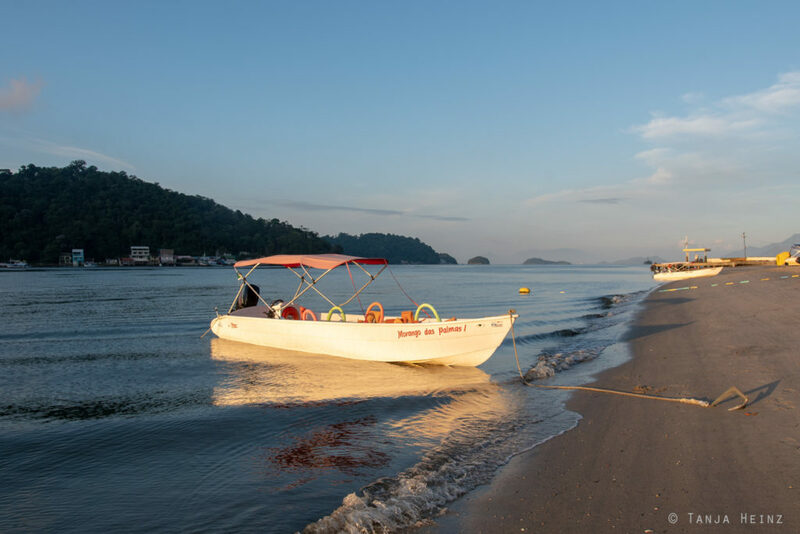 Boats were left on the beach. We walked until the end of the beach. 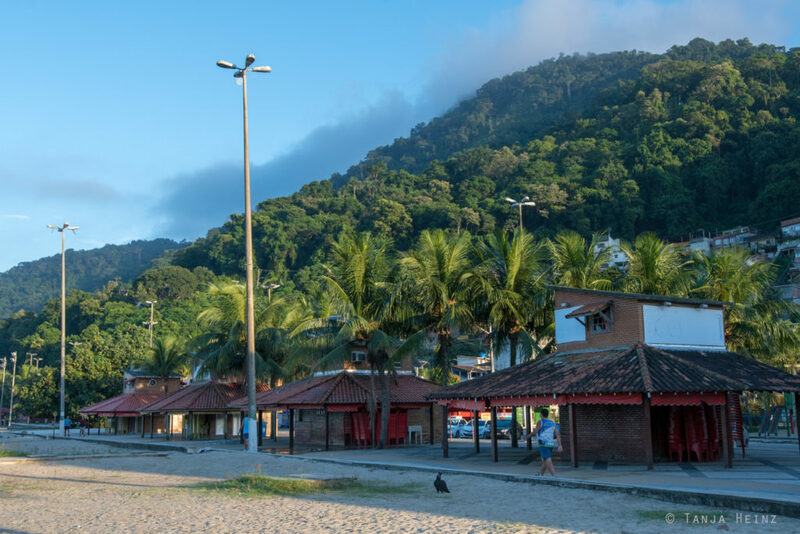 Life in Itacuruçá starts very early in the morning. 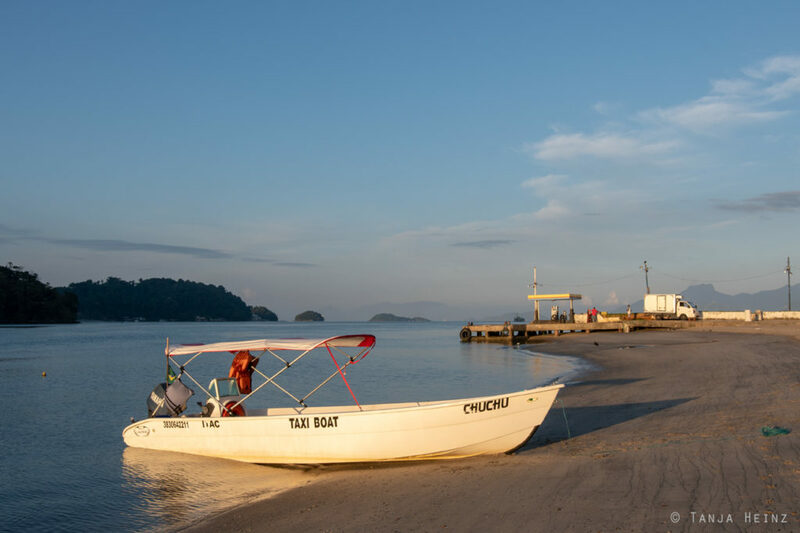 Because fishermen start to prepare their boats for the day. I could hardly imagine that this place is located in the center of a growing industrial area. Itacuruçá is very well connected to the bus terminal Novo Rio in Rio de Janeiro. 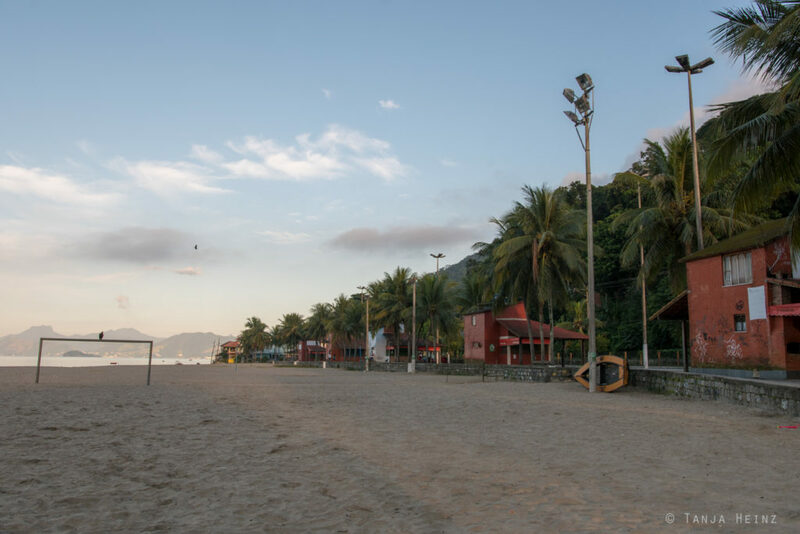 In less than one hour and a half you can reach Itacuruçá from Rio de Janeiro with the bus company Costa Verde. 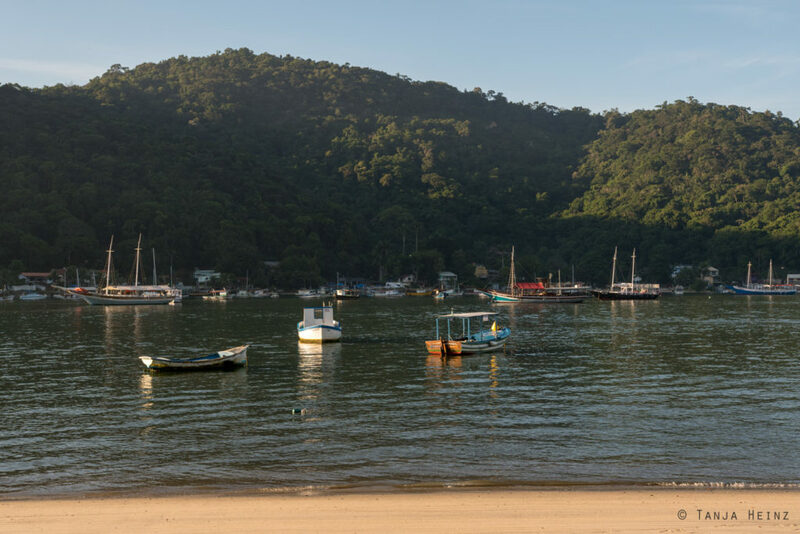 There are regular busses from Rio de Janeiro into the direction of Itacuruçá. One ticket costs about 32 R$. As we came from Itatiaia, we took another route. At first we took a local bus from Itatiaia to the next bus terminal. And that was Resende. The journey took about half an hour. Then we had to drive with another local bus from Resende to Barra Mansa. This journey took about one hour and we paid 11.10 R$ per person. In Barra Mansa we bought a ticket to Itaguaí at the desk of the bus company Cidade do Aço. This journey took about two hours and a half and we paid 37.42 R$ per person. In Itaguaí we had to take another local bus. But this bus brought us directly to Itacuruçá. We bought all tickets at the bus terminals. It is not possible to buy tickets for local busses on websites like Clickbus or Brasil by Bus. 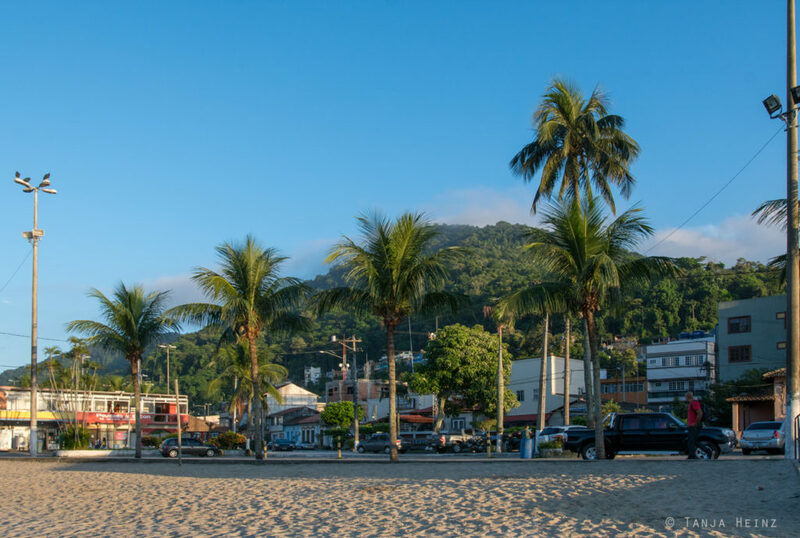 Only tickets from Rio de Janeiro to Itacuruçá and from Barra Mansa to Itaguaí can be booked online. We stayed in Itacuruçá for three nights. We booked our accomodation via Airbnb in the Apart Hotel. 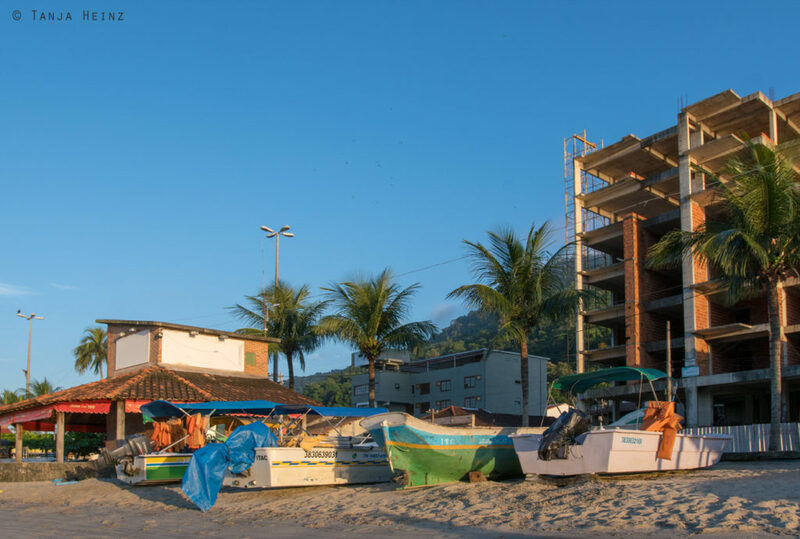 The Apart Hotel is located in the street Alameda do Sol, Itacuruçá, Rio de Janeiro 23860-000. We paied 104.84 Euros for three nights and two persons. The hotel room was very modern and clean including a small kitchen. We were very surprised that we could stay in such a hotel for that price. The only disadvantage in this hotel was that in the evening we had no electricity sometimes for a few minutes. But this was not only in the hotel, the neighbourhood was affected as well. We were very happy with this accomodation, but breakfast was not included in the price.